France has no national medical registry for monitoring the main indicators of mothers’ and newborns’ health, medical practices during pregnancy and childbirth, or risk factors. 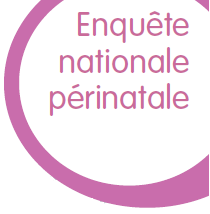 National Perinatal Surveys (ENP) are periodically performed to provide data on these indicators and help the orientation of prevention policies. To measure the main indicators of health status, medical practices during pregnancy and delivery, and perinatal risk factors; it is possible to monitor their trends using the previous surveys and to compare these indicators to those from other countries. To contribute information to guide decision making in public health and assess health actions in the perinatal domain, based on specific questions in each survey. Population: all live born or stillborn neonates in France, at a gestational age of at least 22 weeks or weighing at least 500 g at birth. 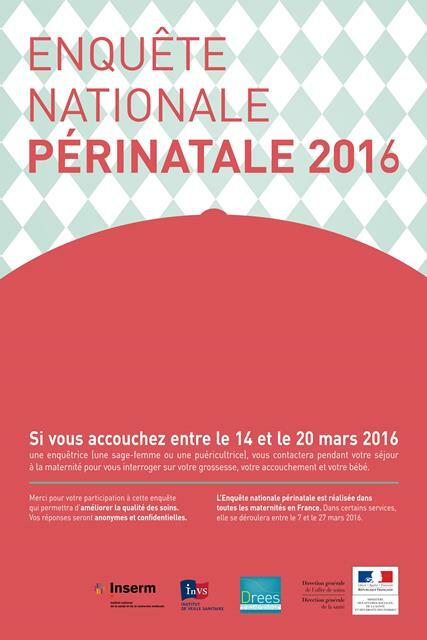 All births during one week in all public and private maternity units and birth centers. – Interview with each woman in the postpartum ward. – Data from the medical files. The questionnaires include items that are identical from one survey to the next and thus enable us to monitor the principal perinatal health indicators over time. Another purpose of these surveys is to produce information about particular problems that are an issue around the time of the survey. In 2010, for example, questions were asked about the prevention of influenza AH1N1 and the care associated with it. In 2016, questions will enable us to assess prevention policies and guidelines (such as vaccination for whooping cough and screening for gestational diabetes). Others allow us to understand more clearly how changes in the organization of maternity units affect the care women receive during pregnancy and at childbirth. The French national institute for health and medical research (INSERM), obstetrical, perinatal and pediatric epidemiology research team (EPOPé). The Maternal and Child Health Services in each district. 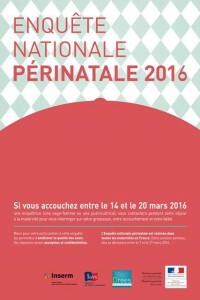 Publications from the 2010 French National Perinatal Survey data.